[toc]We all have hair problems. Some have difficulty in maintaining good and healthy hair because they don’t have time. Others complain about hair fall and there are those who are simply unhappy with the quality of the hair they have. Like our skin, we are not born with perfect hair and if you are eying that gorgeous model and her mane wondering how she does it? Well chances are that she spends a fortune on that. 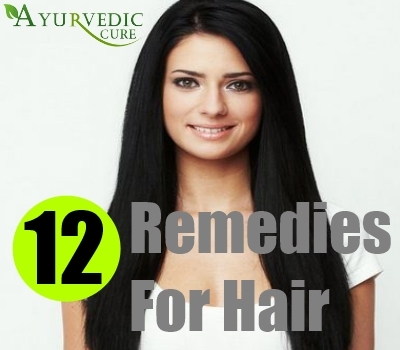 But not every one can afford such expensive parlor or salon treatments, so here are some simple home remedies that combats everyday hair issues, which common people like you and me face along with solutions for the same. 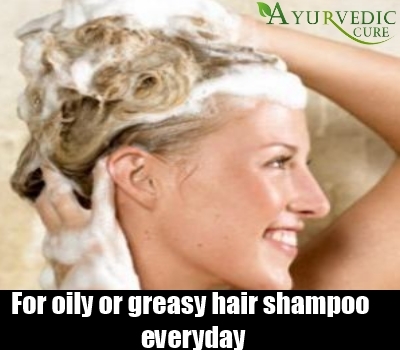 The monsoon is here and so oily or greasy hair is surely a problem. Well along with shampooing everyday, you can try out home remedies to avoid grease and add some bounce. 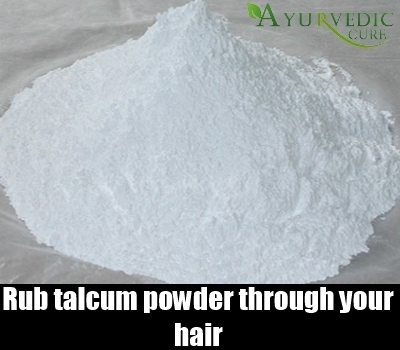 Talcum powder is a great solution here. All that you have to do is take a coin full of powder on the hand rub it and then spread the hands through your hair. This instantly absorbs the grease and keeps oily away. Comb it again for an even look. Lime or vinegar rinse is another solution for oily hair and monsoon woes. You will get instant bounce and shine. Simply mix a couple of spoons of either in the bath water and use it for the final rinse. 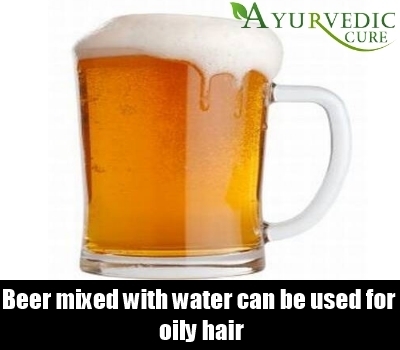 Beer too can be used as a rinse for adding some bounce and keeping the oily away. Let the beer get flat and then rinse of hair post shampooing with the same. 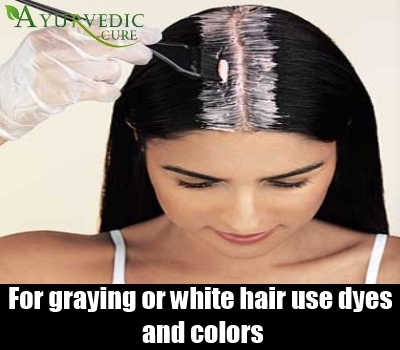 Dry hair woes are all year round, especially if the iron content in the water in your home is very high.Dry hair is also very prone to getting damaged and so it is highly recommended that you massage the hair with oil at least twice a week for better stimulation and secretion of the oil glands, which in turn helps avoid dry hair woes. 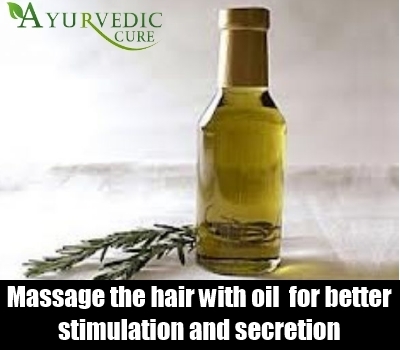 For dry hair, oil massage is necessary using either mustard, sesame or olive oil. All three work really well for treating dry hair. Even coconut oil is very good here but the above three are more nourishing. The oil should be heated well before application so that it penetrates through the layers of the scalp. You can also try steam or a hot towel post the massage for this purpose. Again, use extra virgin options if available as they are richer in nutrients. 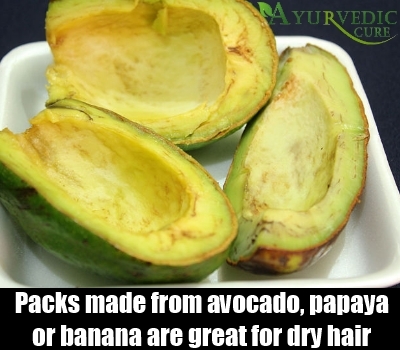 Other treatments for dry hair here include packs made from avocado, papaya or banana are great for dry hair woes. You can use either of these ingredients or combine all three and puree them. Then divide the hair into sections and apply the same generously. Remember that you should let the pack stay for at least an hour before you wash it off for best results. Graying or white hair is a very common problem that we all face too. Dyes and colors are available in the market but they might not be the cheapest or the most affordable solution that we have. However, you can try out these options to color your hair the natural way and also avoid greying of hair in the future. Here henna is used as the base coloring agent, along with some other ingredients to get a color of your choice. 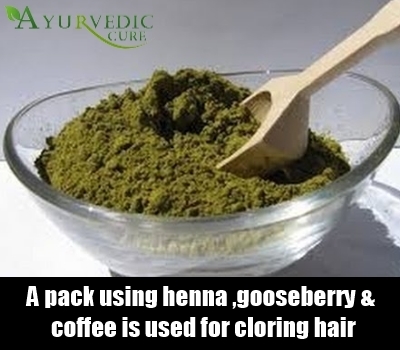 Make a pack using henna, dried amla or Indian gooseberry powder along with some coffee. All of these ingredients add color to the hair. If you want an orange or reddish tinge, then use henna on its own with some curd and egg.Simply soak the powder in water overnight and then add these ingredients to make a paste like consistency. For a brownish tinge, you can add coffee to the same and Indian gooseberries for a darker or close to black tone. Hibiscus flowers can be added to henna too. You can do yoga everyday to combat your hair problems. For instance, sun salutation is known to promote hair growth along with healthy circulation. Then you can also try ustrasana or the camel posture along with cobra pose or the sarpasana, the triangle pose or trikonasana and the halasana or the plough pose for greying hair. Losing hair or worried about your receding hair line. With the hectic lives that we lead today, this is a very common problem. Stress and depression along with lack of a good diet make it worse. Here is what you can do. 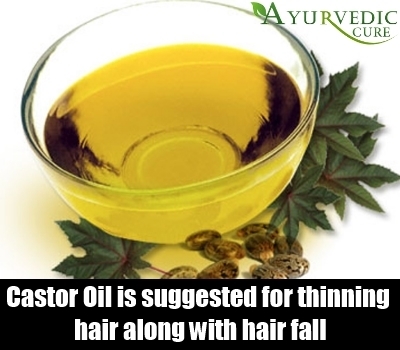 This is one of the best oils suggested for thinning hair along with hair fall. The thick and luscious oil makes the hair healthy, without spending too much. However, this oil is very thick in consistency and applying the same alone is often a messy process. So mix it in equal amounts along with some other oil of your choice like coconut, olive or even almond oil. Follow with a massage and hot towel therapy and see results in a week. 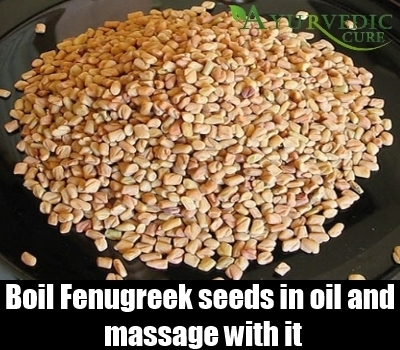 Fresh fenugreek or even dried methi is a one shot solution for falling hair or even thinning hair. Simply take a bunch of fresh fenugreek leaves and puree it along with some amla and hibiscus flowers. 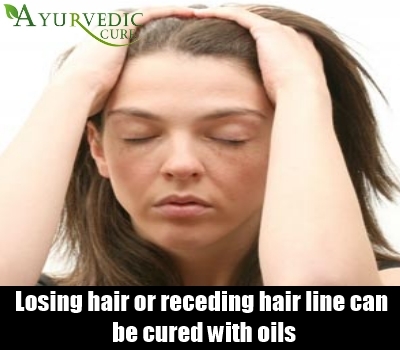 Then apply it generously on the hair and leave it on for at least half an hour. Wash it off later and repeat the process twice a week. This helps in promoting hair growth while improving hair quality.You can also soak dry fenugreek overnight in water and drink the same in the morning. About one teaspoon of the seeds in a 3-4 tablespoons of water should do. The seeds can also be boiled in oil and you can strain the same and use it too. Last but not the least, eat healthy and exercise regularly along with following the above mentioned solutions. You will have luscious and healthy hair in almost no time!